Three sailors from a Russian cargo ship had to be rescued from a deserted island last week after being reported missing following a night of heavy drinking in a coastal town in Wales. The men reportedly left a bar in Barry, South Wales, at approximately 3:45 a.m. on March 20, hopped aboard a dinghy they had commandeered, and set off for their ship, docked across the Bristol Channel in Somerset, England. The U.K.'s infamous fog, however, had other ideas, and before long, the men were lost — and a 2019 remake of “Gilligan’s Island” was underway. So, just sit right back and you’ll hear a tale, a tale of a fateful trip... that started from an English port aboard a tiny ship. The mate was a drunken sailing man, the skipper brave and sure. Three passengers set sail that day for an intoxicated tour... an intoxicated tour. The sailors eventually came ashore on the uninhabited Flat Holm Island, cold, drunk, tired — and hungry. 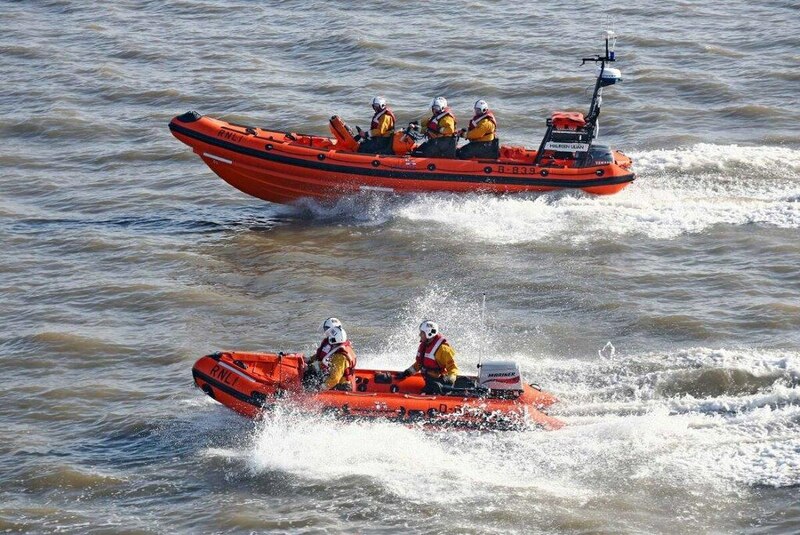 With the help of Royal National Lifeboat Institution volunteers, a search was launched when the cargo ship’s crew reported the three sailors as being overdue for a 7 a.m. check in. 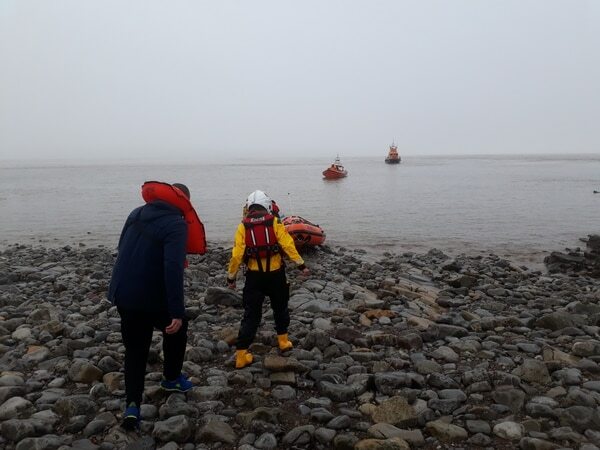 Five RNLI lifeboats scouted the coastline of Flat Holm Island and located the stranded sailors at about 8:30 a.m.
A rescue helicopter also arrived on scene, but the sailors were deemed fit — and sober — enough to return to the harbor via lifeboat. The shivering men were then transported back to Barry, where their drunken shenanigans had commenced. “We are safe and we just want to thank the friendly people here,” they said in a press release. Though they were stranded for nearly five hours, the men managed to avoid resorting to cannibalism, no minor accomplishment given the acute hunger pangs known to accompany a drunken stupor. Additionally, no elaborate personas were created out of volleyballs gone astray.